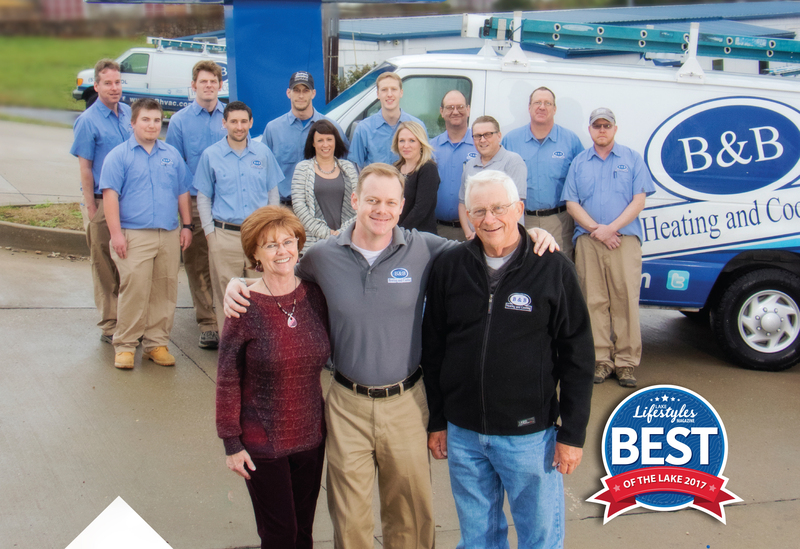 In 1995, Bill and Barb Painter started B&B Heating and Cooling with the idea of specializing in the service and repair of heating and cooling systems. At the time most HVAC contractors were focused on new home construction, B&B focused on the repair and maintenance of the existing comfort systems in the area. In 1999, Bill and Barb’s son, Chad joined the family business and the three have expanded the company into system replacement and duct cleaning markets while still maintaining the strong service/repair base they as so known for. With a complete crew of service and installation technicians, as well as, tune-up specialists, B&B Heating and Cooling is able to provide prompt, professional service to the lake area seven days a week.